The much appreciated color combination of grey and yellow comes together on this latest premium Air Max '87 by Nike Sportswear. The clean color combo made popular by Nike during the early 2000's comes together over a premium nubuck and graphic printed Air Max 1. Cool Grey dominates the look, while sonic yellow handles the tongue branding, eyelets, Swoosh logos and other areas throughout. The classic look is finished off with the midsole below in an off white hue known as sail. 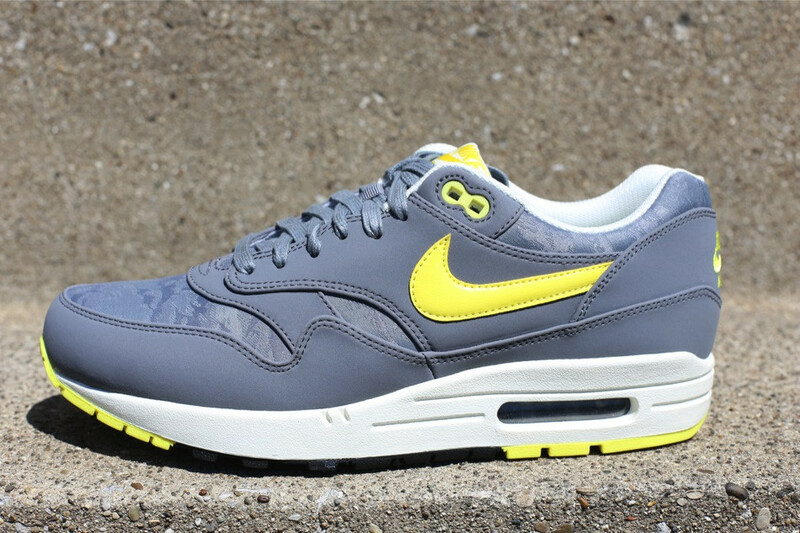 The Cool Grey/Sonic Yellow Nike Air Max 1 PRM is now available from Oneness.